Note: each asset must belong to at least one collection. 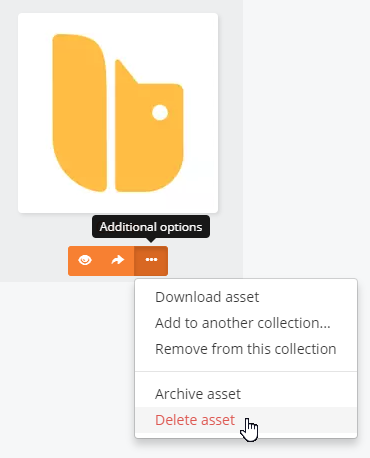 Removing an asset from the only collection it's in will archive that asset. 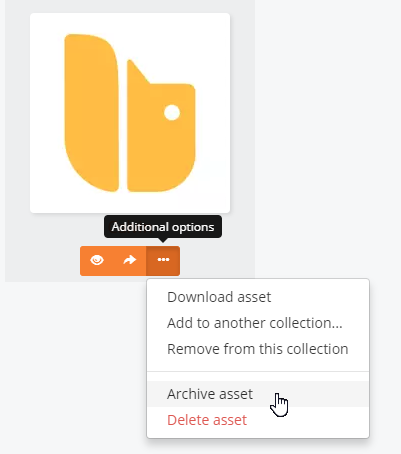 You can also remove an asset from a collection when viewing the asset. 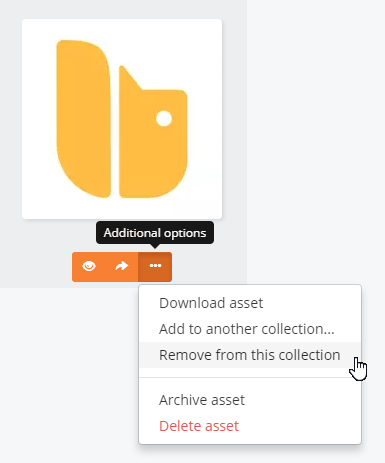 Click the button next to the collection(s) an asset is in and then click the button next to any collections you’d like to remove the asset from. 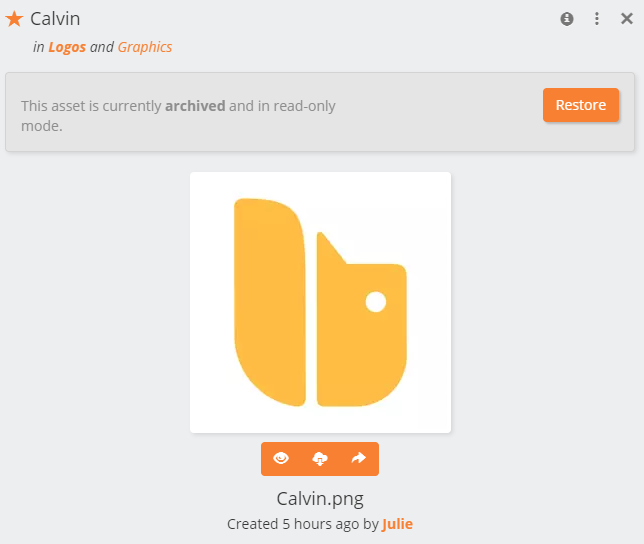 While deleted assets are permanently removed from your Chipmunk team, archived assets can later be restored. 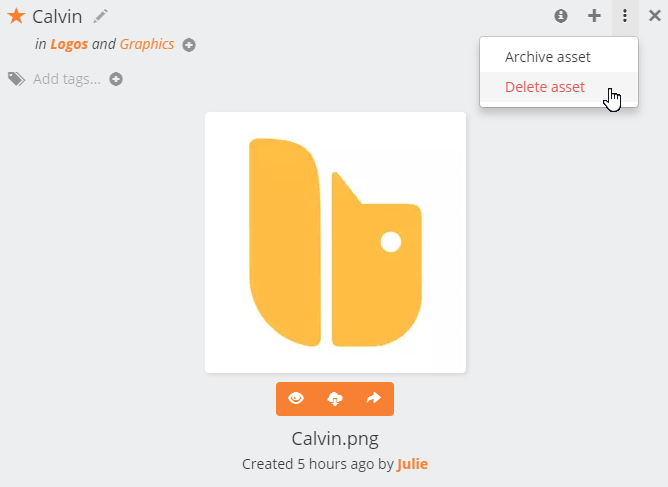 Content you archive cannot be edited but can be shared or downloaded. 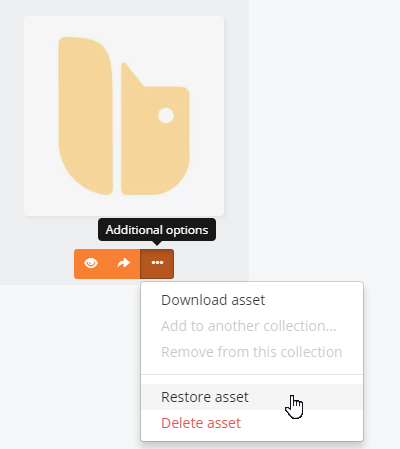 Note: Restoring an asset that's only in one collection will automatically restore that collection. Note: deleted assets cannot be retrieved later. Please delete with caution.